Where to live in Spain: Barcelona v Granada ... Second Half! 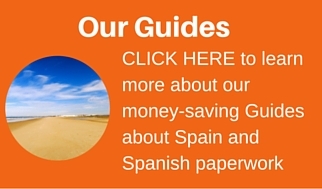 Where to live in Spain: Barcelona v Granada … Second Half! In our last post entitled Where to live in Spain: Barcelona v Granada .. Let´s kick off! 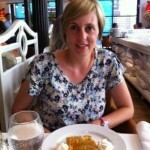 , Molly, who writes for our Newsletters and her own website www.piccavey.com , gave us her thoughts about the positive reasons for living in Barcelona and Granada. Catalan can be a problem especially if you don’t speak Spanish and are trying to get to grips with a new language, it will be confusing to see both languages on documents and road signs. Petty crime is a nuisance in Barcelona with most of my guests being pick pocketed at some point, it is a real issue for people speaking foreign languages as they are a target for the criminals in the tourist areas of the city. The tourists can be a little bit annoying when you live in the city. Stag do´s, large queues for museums or big crowds on the ramblas and along the Paseo de Gracia. I found that I can be difficult to mix with people from Barcelona in a long term sense. Networking with foreigners is really easy but these people tend to be short or medium term residents. To make friends or contacts for several years was not easy. The public transport here isn´t so good. In Granada there are no underground or tram services. The trains are only long distance and timetables are vary sparse. The buses seem to come when they want to. They should come every 10 minutes but last Saturday I waited 30 minutes for it to come along. Taxis are not at all expensive. Usually 5 euros will get you pretty much anywhere in the city centre. No Flights. The airport is pretty limited to fly internationally. Flight to Barcelona or Madrid are available. Most people travel 90 minutes to nearby Malaga by car to get flights from there. If you are running you own business, freelance or online based OK. Work is pretty limited. If you want to find work here Spanish is obligatory. A good level of business Spanish. Currently in this area 1 in 4 are unemployed. There aren´t many International restaurants or supermarkets. There are some but they may be toned down to suit Spanish customers. An Indian curry that´s always mild for example. It´s difficult (but not impossible) to buy special cooking ingredients. I often go for online suppliers. For my current lifestyle I am really satisfied with my lifestyle in Granada, the working week seems to be more relaxed, I walk to work which takes just 10 minutes (no buses, metro or queues) this suits me right now. 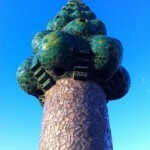 When I was in my mid twenties I couldn´t imagine leaving Barcelona. It is such an exciting place to live. The important part of choosing a new city or town of residence is ensuring that it adapts to your lifestyle and that the way you will live you standard day with fit in with the destination. When you are on holiday it is a completely different ball game. Thanks again to Molly for her honest feedback. Where would you like to live in Spain? Have you experienced living in Spain? Would you like to tell us why you love where you live? Would you like to take part in the next match? If so, please Contact Us and let us share Your Story about Life in Spain. Some interesting thoughts and an interesting mix between opinions (needing to learn Catalán) and facts (few flights from Granada). 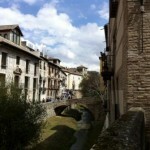 I would have added the weather as a downside to Granada – cold in winter, HOT in summer. The lack of a decent football team in Barcelona would also put me off. All that said, I’d be happy to live in either city.